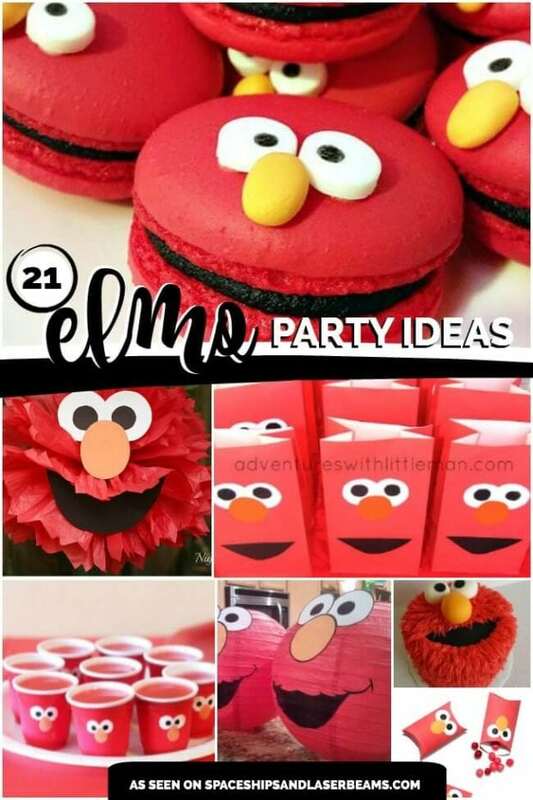 These Elmo themed birthday party ideas would be perfect for any toddler! Want to inspire sweet laughter at your child’s next birthday party? Invite Elmo. 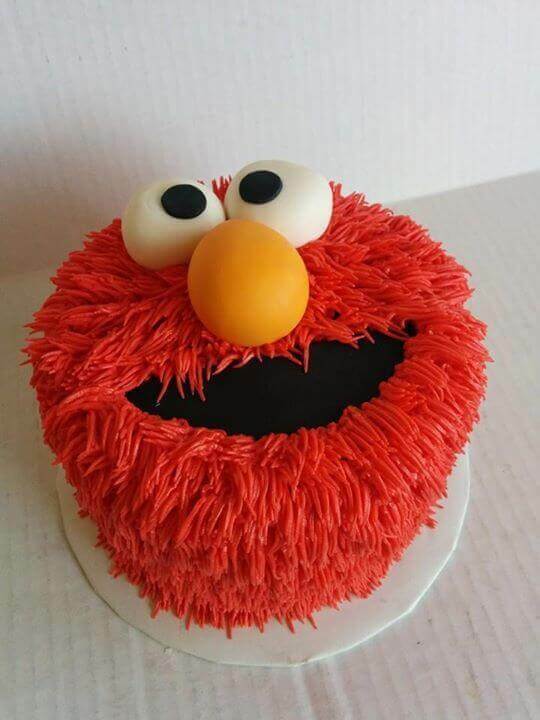 Elmo is a beloved Sesame Street character, making him the central theme figure in many small-fry birthday parties. 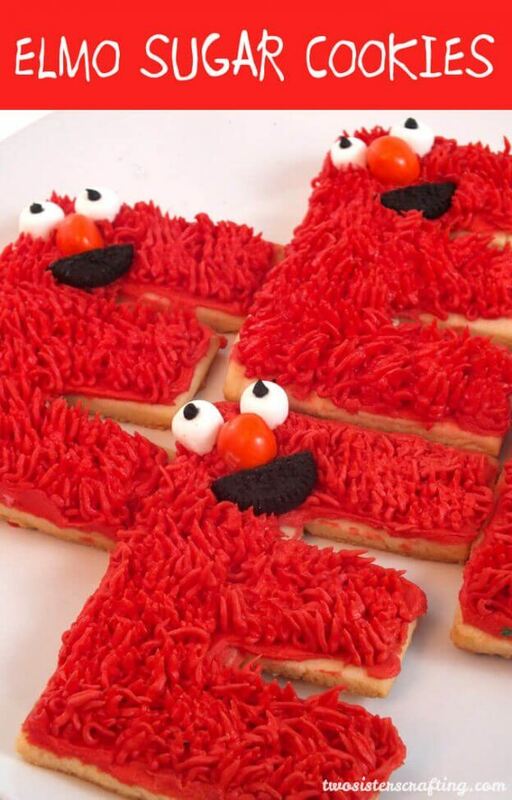 We’ve got 21 fabulous Elmo birthday party ideas to prove it! 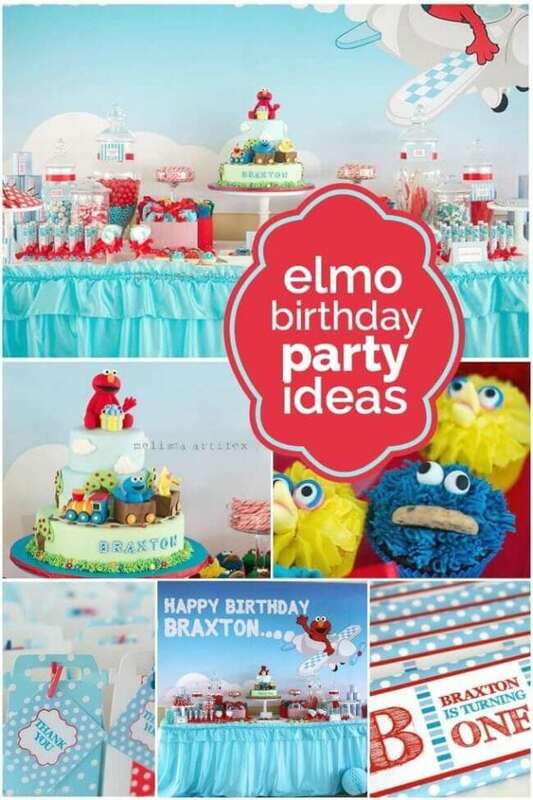 You’ll be tickled to see the party supplies including cute cupcake, cookie, favor and activity ideas inspired by Elmo’s fun personality. 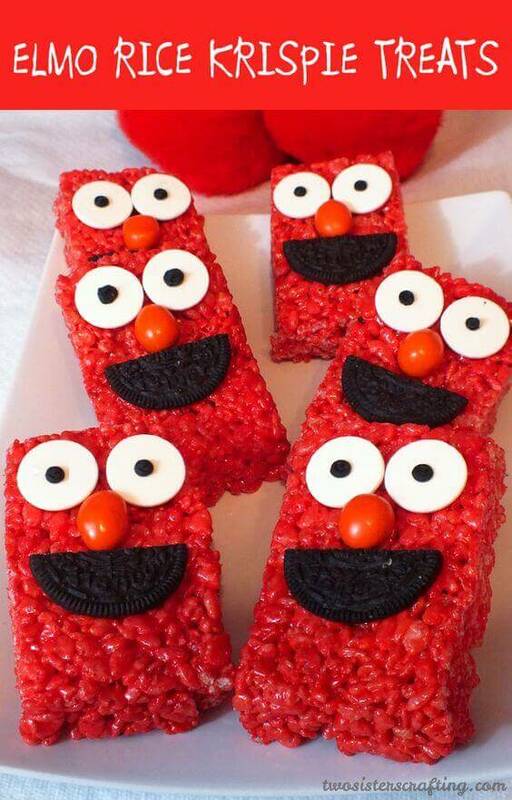 I especially love the tutorials for making Elmo rice krispy treats and cupcakes! Don’t miss these 23 Sensational Sesame Street Birthday Party Ideas. Check out these Tips for Planning an Awesome Sesame Street Birthday Party to plan a party to remember. 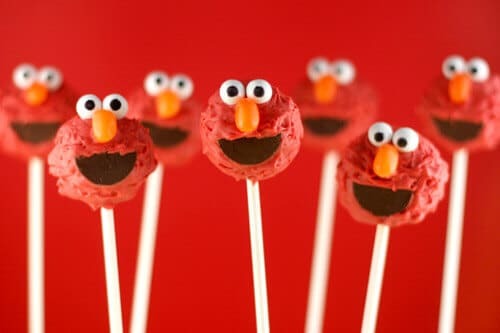 These Elmo Cake Pops are the perfect snack for an Elmo birthday party, plus you can make all the other Sesame Street characters too! 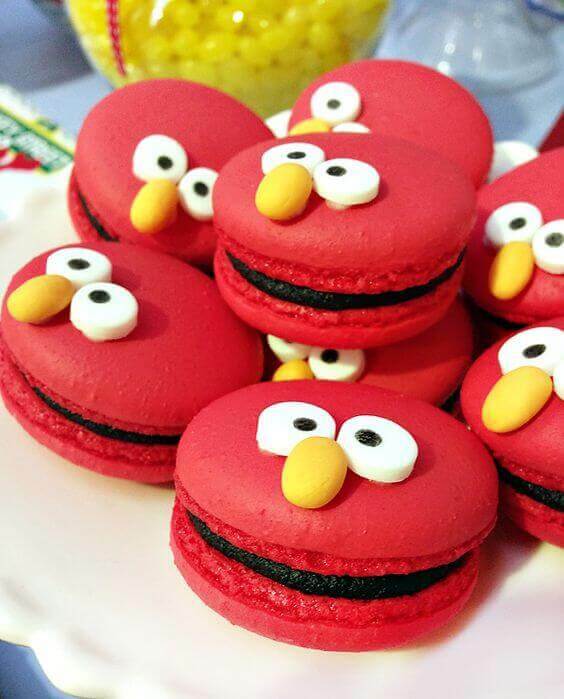 I absolutely love these Elmo Macarons. If you’re a bit of a baker, you can make them yourself. 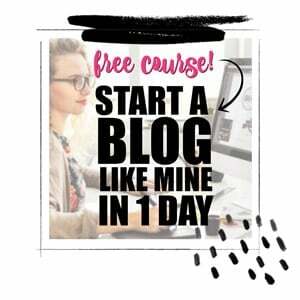 If not, just buy them premade and put them together — easy and delicious! 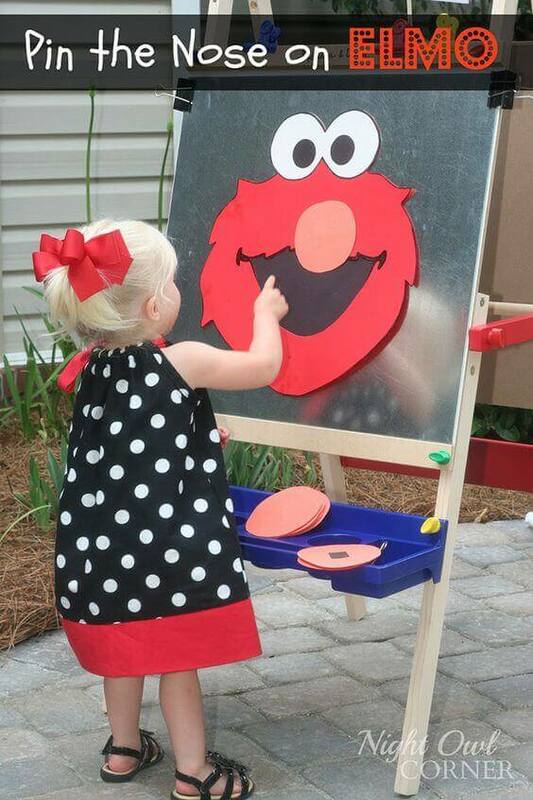 This is one of my favorite Elmo birthday party ideas because they’re so easy to put together, but look so impressive! This is a great recipe if you’re a little short on time. There are so many ideas here, I don’t even know where to start! All these ideas are perfect for a first birthday, but would also work really well for kids of any age who just love Elmo. 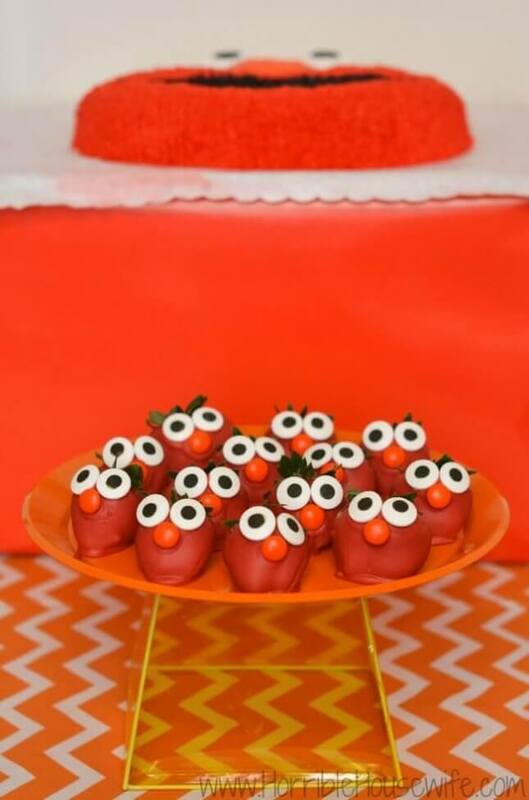 This is a great way to sneak a little fruit into your Elmo party, and these Elmo Chocolate Covered Strawberries just look divine. They’re cute, easy to put together and almost healthy — what more could you want? 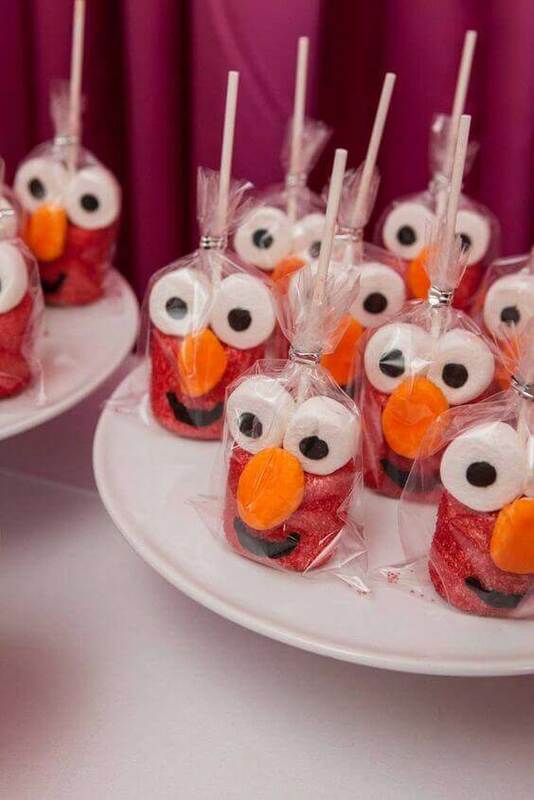 Don’t you just love these Elmo Marshmallow Favors? They’re great to make ahead and give to your guests to take home. 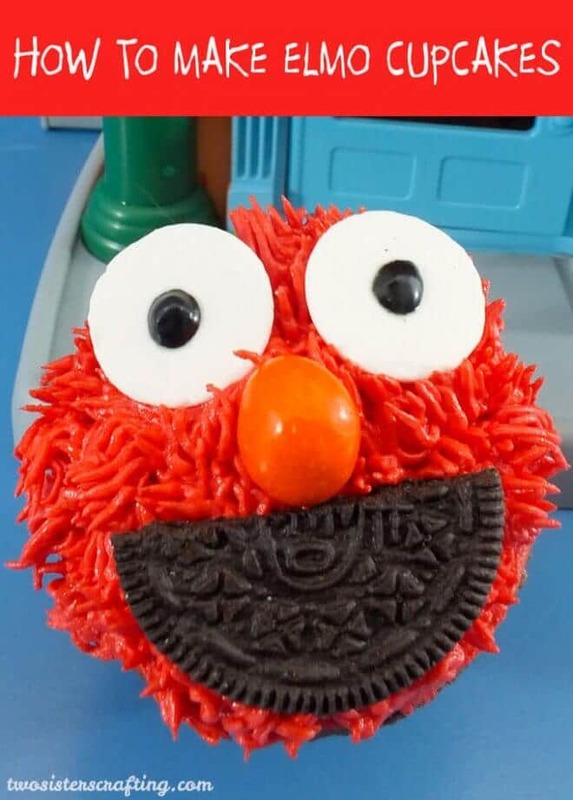 I just LOVE these Elmo Cupcakes — how could anyone resist them?! This is a really great, clear tutorial, and the cupcakes are pretty simple to make once you know your way around a piping bag. 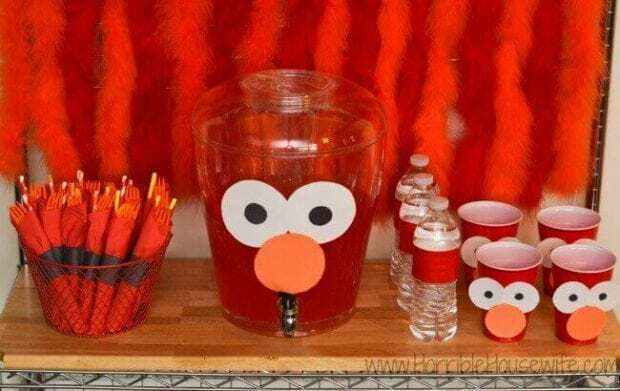 This is a really cute and easy way to bring Elmo to your drinks table, and the Party Drinks and Cups are great to make ahead. These Elmo Party Visors are ideal for those summer birthdays, and they can double up as favors for your guests to take home after the party. 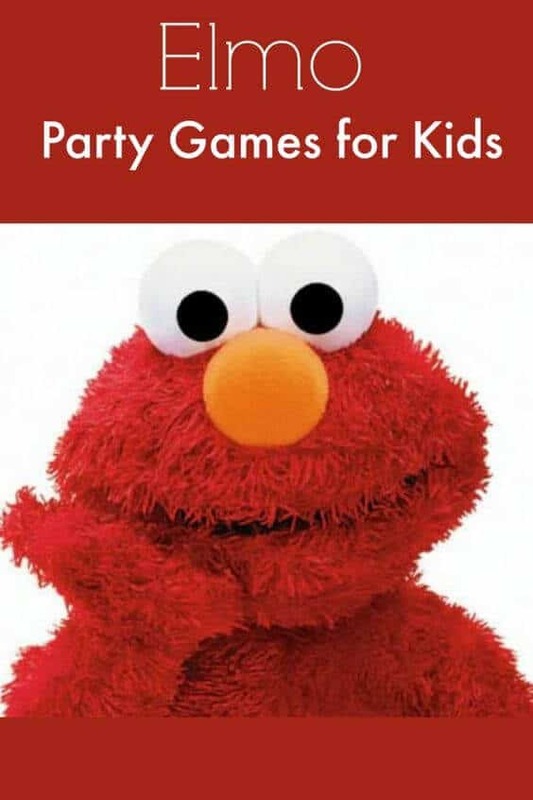 This is such a fun idea for an Elmo birthday party game! And the best part is, it’s all done with magnets, so no sharp pins for your little ones to hurt themselves with. 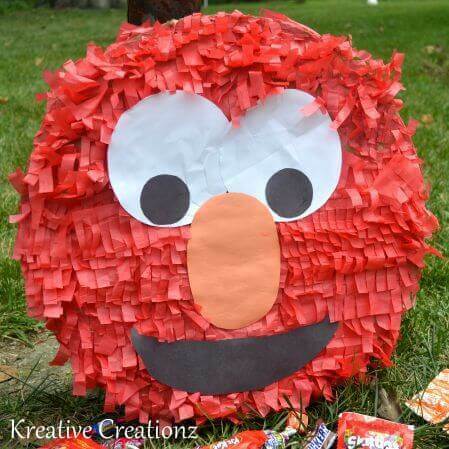 This DIY Elmo Pinata is another fun activity for your Elmo party, and it’s pretty cost effective to make too. 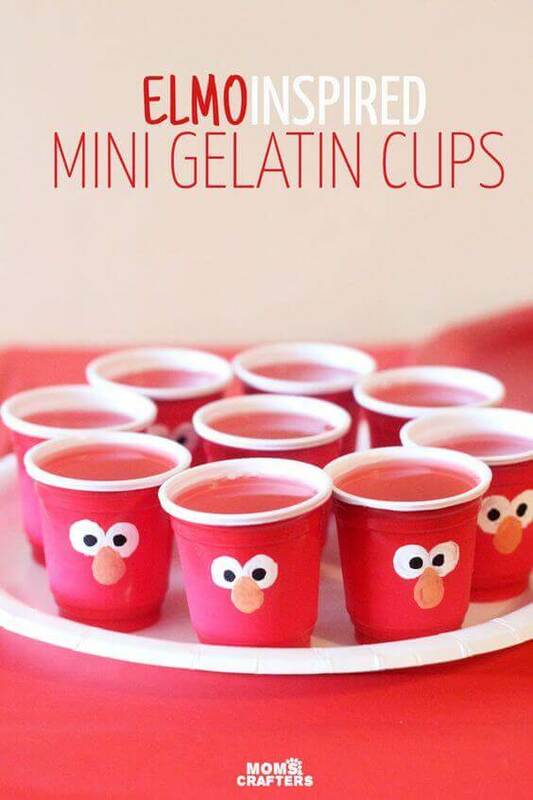 These Elmo Inspired Mini Gelatin Cups are the perfect Elmo birthday party snack, plus they’re gluten free, too. This is a super fun decoration idea, and won’t take much time or planning on your part. All you need is 7 balloons and a sharpie, so it’s pretty budget friendly! 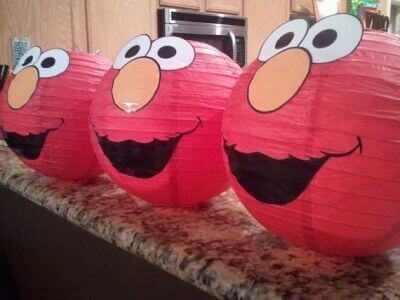 These DIY Elmo Paper Lanterns are another great way to decorate your Elmo birthday party. Aren’t they cute? These Elmo Inspired Treat Boxes are a great DIY favor if you have a bit of time on your hands, and the design is pretty easily adaptable for different themes. I love these Tissue Paper Balls, and they’re especially great if you’re having a general Sesame Street themed party, as they show you how to make all the different characters. This is another treat that’s perfect if you know your way around a piping bag, but pretty easy to figure out if you don’t. 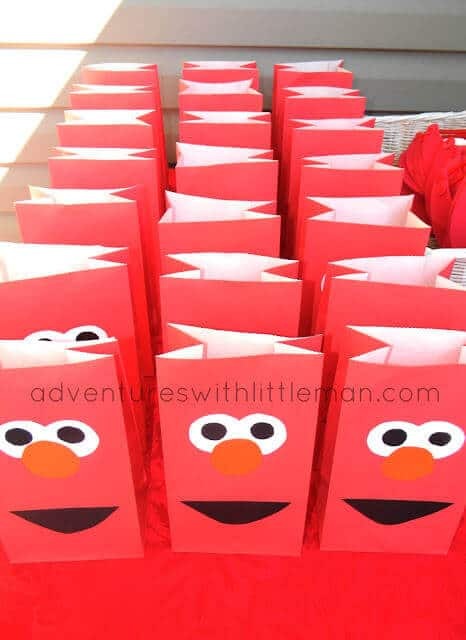 These Elmo Favor Bags are another great idea for treats for guests to take home, and they’re really simple to do. Struggling for party game ideas? 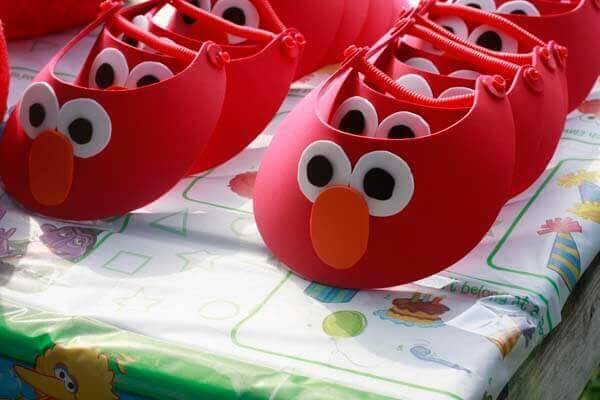 Have a look at these — they’ve got plenty of great game ideas for your Elmo birthday party and more! How could anyone not be absolutely smitten with this cake? It’s adorable, and simple to DIY. Need an easy treat that’s simple to make and easy to clean up? 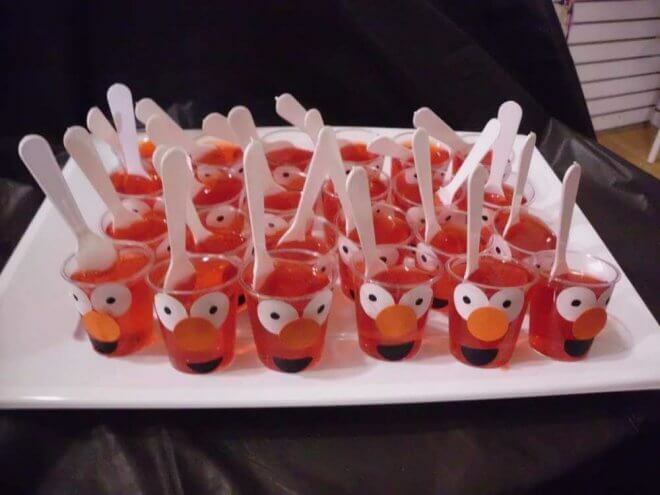 These Elmo Jell-O Cups are exactly what you need. Ready to celebrate on Sesame Street? This party definitely inspires!